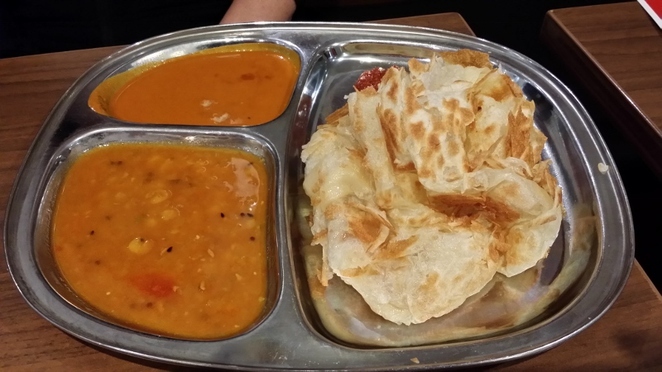 Mamak is a very popular place located near Sydney's Chinatown that specialises in Malaysian food. When we first visited it for dinner, we had to queue for a long time before we got a seat. It was a change that we were able to quickly get a seat during our second visit for lunch although it was still quite busy. One of their main specialities is various varieties of roti paratha, best described as an Asian flatbread. The roti paratha that we chose to order were the Roti Canai, Roti Telur Bawang and Murtabak. The Roti Canai was crisp and fluffy and the Roti Telur Bawang was perfectly cooked with the eggs and onions complementing the roti perfectly. 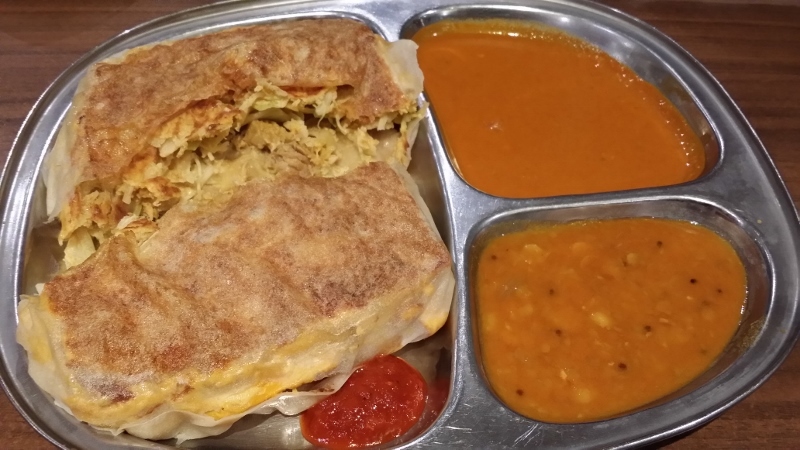 Murtabak required a wait time of 15 minutes but the wait was worth it for a delicious meat filling encased inside the roti paratha. 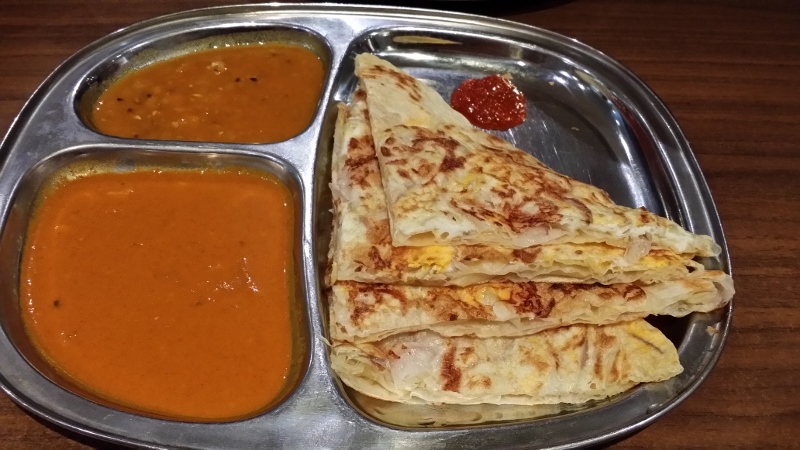 Not many places serve Murtabak, probably because of the long preparation time. All the roti paratha was accompanied by two types of curry to spoon over it with the Murtabak also accompanied by a chilli sambal. Mamak also serves a decent selection of Malaysian dishes. 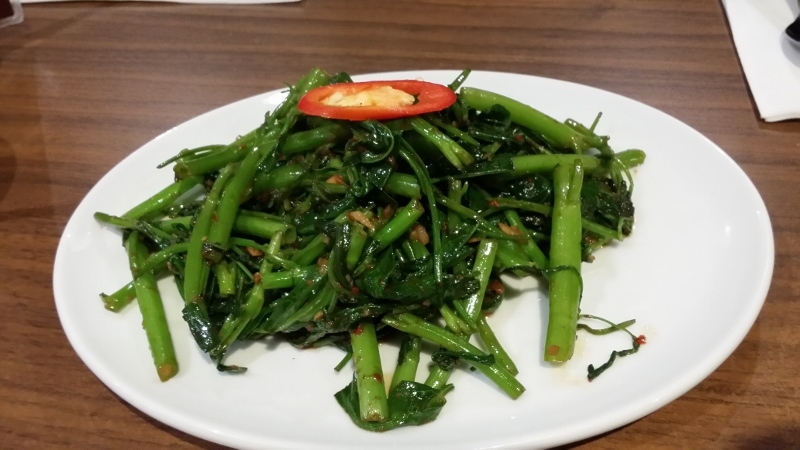 During our second visit, we only ordered the Kangkung Belacan. The kangkung, often known as water spinach was perfectly cooked and it was complemented nicely by the belacan sauce the kangkung was stir-fried in. For dessert, you can order Ais kacang, Cendol or from a selection of dessert roti. We chose to order the Cendol and it had a flavour similar to the Sago Pudding I enjoyed eating at Adelaide's Central Market. Cendol is "green worm" noodles made of mung bean flour coloured with pandan essence, served with coconut milk, shaved ice and palm sugar syrup. The rich, creamy sweet taste of Cendol is the result of the combination of coconut milk and good quality palm sugar syrup. 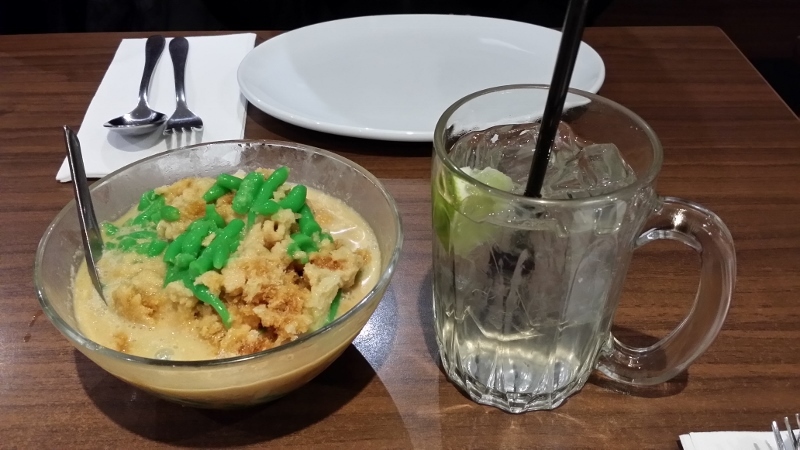 The Limau ais, iced lime juice with syrup, was a good compliment to the dishes we ate with its refreshing flavour.